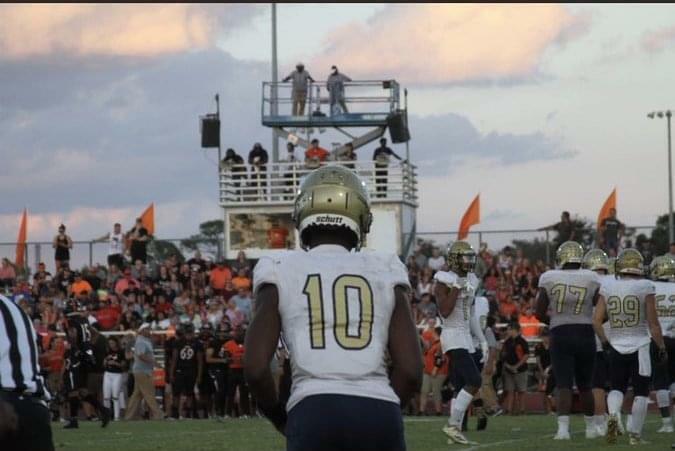 Sandalwood quarterback and class of 2020 prospect Jeff Sims won’t have to travel to far from home to play his college football. Over the weekend Sims, who had compiled offers from the likes of Georgia, Louisville and LSU, committed to Florida State. Sims joined “The Sports Den” on 1010XL to talk about how he received the offer from FSU and what led him to commit. “Coach (Kendal) Briles came to see me throw and then I went on a Georgia visit and while heading back from the Georgia visit, he called me and offered me,” Sims told 1010XL. Sims took part in this past weekend’s Junior Day in Tallahassee which is when he made his commitment. He went into detail about what led him to commit to the Seminoles on Saturday. Sims has already begun doing a little recruiting of his own for Florida State and the Seminoles class of 2020. When asked if he is shutting his recruitment down after his commitment to Florida State, Sims left little doubt. “Yes, it’s done, I’m a Nole,” he said.